The apparent flip-flop of the Supreme Court on whether or not the new cities that would boost the number of Philippine cities to beyond 135 qualified for “cityhood” had captured much of the news reporting on the activities of the League of Cities of the Philippines. Since we are under the rule of law, and we abide by decisions of the Supreme Court, we now allow the issue to rest. We all move on. It is to the credit of the League of Cities of the Philippines (LCP) that it has never shifted its focus from good governance. In the past year, the LCP has been crafting its governance charter and a corresponding strategy map. It has become clear for the LCP – with Mayor Oscar Rodriguez as its President – that it should become an enabler and facilitator for its member cities, which aim to move up on a good governance pathway. While cities are left free to decide for themselves whether they are going to embark on the journey towards good governance in a systematic and disciplined manner, still the LCP stands ready to assist those that decide to do so: It can arrange for an exchange of good governance practices; it can facilitate access to sources of expertise and technical advice; it can also seek arrangements by which it can tap into pools of financial support for the good governance initiatives of its member cities. 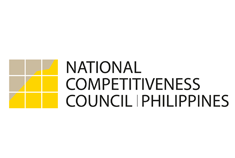 Today, the LCP will be presenting its governance charter and strategy map at the Public Governance Forum organized under the auspices of the National Competitiveness Council and the Institute for Solidarity in Asia. It will do so before a panel, made up of several stakeholders, with a deep interest in raising the standards of public governance practice in Philippine cities. It will then be up to that panel to confer on the LCP “initiated status” within the Performance Governance System. The City of Calapan (in Mindoro island) has gone in lock-step with the LCP. On its own, under the leadership of Mayor Leachon, it crafted a governance charter and a city strategy map. It too will present today its good governance program before an independent panel, which may award it with initiated status within the Performance Governance System. Ahead of the LCP and Calapan City are two other cities with City Mayors who are deeply committed to good governance. These cities are: Talisay (Negros Occidental), with Mayor Saratan; and Masbate, with Mayor Tuason. On their own, they got themselves initiated into the Performance Governance System a year ago. Since then, they have been working hard at cascading their respective road maps down to the major operating departments of City Hall. They have also formally set up and institutionalized a multi-sector governance coalition, made up of key sectors in their respective cities, to be actively engaged in the oversight of strategy execution by the city as well as to be fully supportive of such an initiative: This is a formalization of the private-public sector partnership, not only in pursuit of specific projects, but in the over-all public governance of the city. Good governance initiatives among the LGUs are not limited to the LCP and the cities of Calapan, Talisay (Negros Occidental), and Mindoro. There are more than two dozen cities moving up the pathway of the Performance Governance System. These are LGUs that are proving the adage: not all good governance initiatives need to come from the top; many are in fact coming up from the bottom. And the Philippines is so much the better for them.